For over 125 years we have been an outreach ministry to the Janesville and surrounding communities in the area of elementary education. Trinity offers a well-rounded curriculum including an all day kindergarten and opportunities for vocal and instrumental music. Trinity has a low student-teacher ratio enabling us to better meet the individual needs of each child. Dedicated teachers provide a Christian model through leading by example. We partner with parents to prepare their children for Christian learning and service. Students experience prayer and worship in an atmosphere that deepens Christian values providing astrong foundation to make responsible decisions. We offer a nutritious and healthy hot lunch program. Trinity's Parent-Teacher League sponsors monthly family activities to give parents the opportunity to meet each other and the teachers. Accreditation through National Lutheran School Accreditation. Trinity Lutheran School is fully accredited through National Lutheran School Accreditation. NLSA is a rigorous national accrediting process designed to evaluate schools based on their unique purpose as Lutheran schools. It helps schools evaluate not only the quality of the academics and programs, but also most importantly the spiritual dimension of the school. The purpose of Trinity Lutheran School is to equip the child to grow and serve as a disciple of Jesus Christ. What Are The Purposes Of National Lutheran School Accreditation? Help Lutheran schools - early childhood, elementary and secondary - to improve. Help all Lutheran schools and centers to evaluate themselves based upon their unique purposes and national standards. Give appropriate recognition to those schools that complete the process successfully. 10. Academic Results – On standardized tests, our students consistently score at and above average. 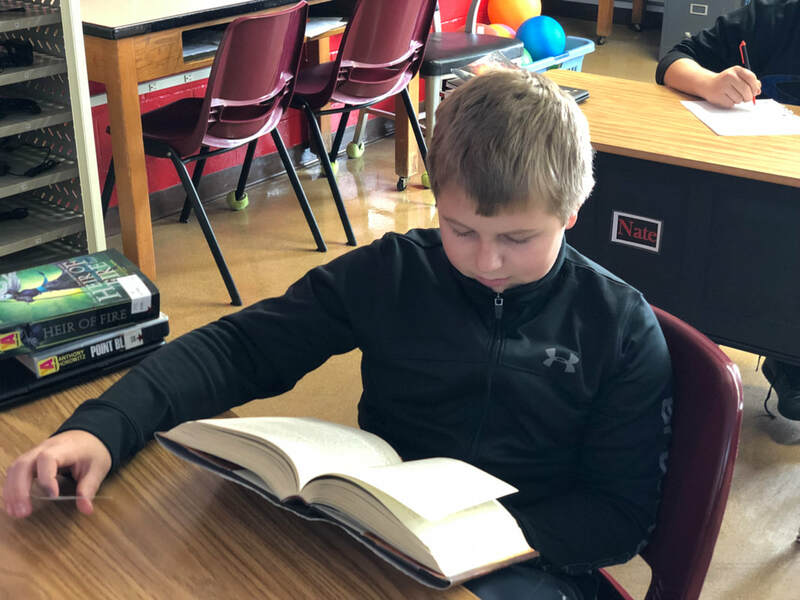 This year’s 8th Graders scored better than 71% of 8th Graders nationwide in Reading, 72% in Language Arts, and 62% in Mathematics, all above average for their grade level. Our graduates are easily accepted into all local high schools, public and parochial, and many have gone on to be leaders of their school with some becoming the Valedictorian or Salutatorian of their high school. The academic foundation received at Trinity has propelled many students through such high school success that they have eventually been accepted at a variety of top tier universities for continuing their education, including: Concordia University St. Paul, Minnesota, Concordia University Seward, Winona State University, Bethany Lutheran College, Minnesota State, Southwest State, University of Minnesota Morris, and many more. 9. The Kids Love Our School! – Any visit to our campus quickly shows how much our students love their school. The joy on their faces, the excitement in their activities, the energy in their classroom discussions all point to how much they value Trinity Lutheran. They love their teachers, their classmates, the field trips, music, computers, art, athletics, and on and on. They come in each day eager and ready for another opportunity to participate, eager to share the experience with each other and tell their parents all about it when they return home. 8. Parents Appreciate TLS, and Choose to Be Involved – At all grade levels and many activities parents are vitally involved in our school. They help in the classroom, work concessions at basketball games, chaperone field trips, and participate in fundraising support for the school. Parents are in high percentage attendance at our performance events. They remain our number one source for publicizing the school to the community, sharing their Trinity experience with friends, family, and co-workers. 7. We Have an Excellent Preschool – Preschool education sets an excellent foundation for the years of elementary schooling to come. Under the guidance of Preschool Teacher, Mrs. Eugenia Stockman, our Preschool has established and maintained a reputation for excellence in program, nurture, value, and service that is second to none in our community. Half-day preschool programs are available in the mornings and afternoons meeting the needs of preschoolers three on up. Our Christ-centered preschool program helps children fall in love with learning while being surrounded by the love of our Savior. 6. Tuition Assistance is Available – If a family qualifies for need-based tuition assistance, up to 75% of tuition may be covered by an assistance grant. We strive to ensure that money never interferes with parents’ desire to give their children the gift of a lifetime, an excellent Christ-centered education, preparing children for life in the world today as well as life eternal. 5. We are Affordable – Visitors are surprised at how reasonably priced our quality education program is compared to other high quality Christian schools in our area. Families are able to spread payments out over various monthly plans. A child can attend our elementary program for just $34 per week (based on a 52-week division of the annual tuition). We are positive we offer the absolute best value in Christian education in our area! 4. Outstanding Teachers – Our professional educators are fully qualified and thoroughly educated, with Minnesota state teaching license. They all have years of experience in Christian education, and have demonstrated their commitment and passion to sharing Christian faith and values with children and families while passing on their lifelong love for learning. 3. Our student-teacher ratio is kept low – Small class sizes at all grade levels allow students to receive excellent attention, with teachers able to appropriately address learning hurdles and intellectually challenge students. The children stay interested and motivated all day long. We maintain a 10-1 student-teacher ratio for our youngest children. At the K-8 level, the average class size is 15 students, and a maximum of 20 is set for Kindergarten, 24 for the upper grade classrooms. 2. Curriculum – Our curriculum exceeds the state objectives in each subject area. We review our curriculum each year and adopt new text books that meet our curriculum. We also are incorporating technology into all of our curriculums to have our students prepared for high school and beyond. We fill out our curriculum with other instructional components vital to a well-rounded education: faith instruction, physical education, computers, music (general, vocal, and instrumental), Spanish, and art. 1. We are Christ-centered! – We believe the Bible is the completely accurate and true Word of God. We believe we have salvation and eternal life through faith alone, by the grace of God and not by anything we have earned or accomplished for ourselves. We believe in Jesus Christ as our Savior, the Lord of our lives. These core beliefs impact and influence every aspect of our school. Our School Mission Statement says it clearly: Trinity Lutheran Church and School form one community of faith for the purpose of making disciples of Jesus Christ through a faithful Word and Sacrament Ministry.